The young star gets candid about possibly saying bye to television for good, Bollywood and his equation with Sonya Jehan. 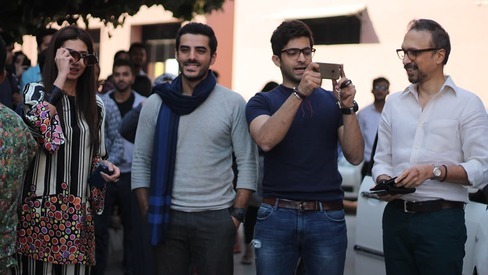 Wearing a paisley denim button down on slim-fit denim jeans and taking a deep drag of his cigarette, Sheheryar Munawar looks like he's had a chance to sit down after several hours of being on his feet. "You don't mind, do you?" he asks sheepishly before he continues profusely apologizing for making me wait for 20 minutes. Even if I did, it would be hard for anyone to say no to that cheeky smile. 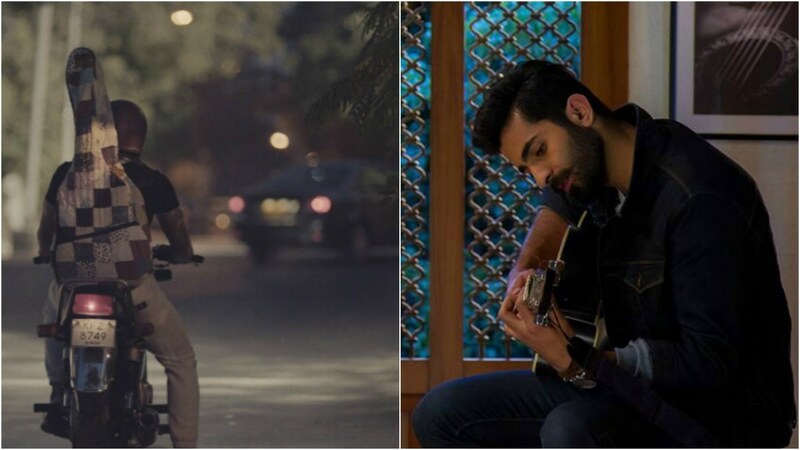 The budding star will be making his big screen debut this weekend with Ho Mann Jahaan, a musically inclined coming of age story chronicling watershed events in the lives of three young adults: Manizeh (Mahira Khan), Nadir (Adeel Hussain) and Arhaan (Shehreyar Munawar). Not only is he acting in the film, he's also a co-producer. As his highly-awaited flick inches closer to its release date, I quizzed him about how tough it was juggling the two responsibilities. Without even pausing to think about it, he starts off: "I'm a workaholic so I relished it! That being said, it wasn't a walk in the park. As a producer, you're married to the project for a year, maybe more. You're not in and out, like an actor. You work 12 hours a day, every day; the project is your life." "We wanted to streamline the process of making movies, in terms of creating benchmarks regarding how people involved in the film-making process are treated. We are very serious about our work," he divulges, while knocking on wood. 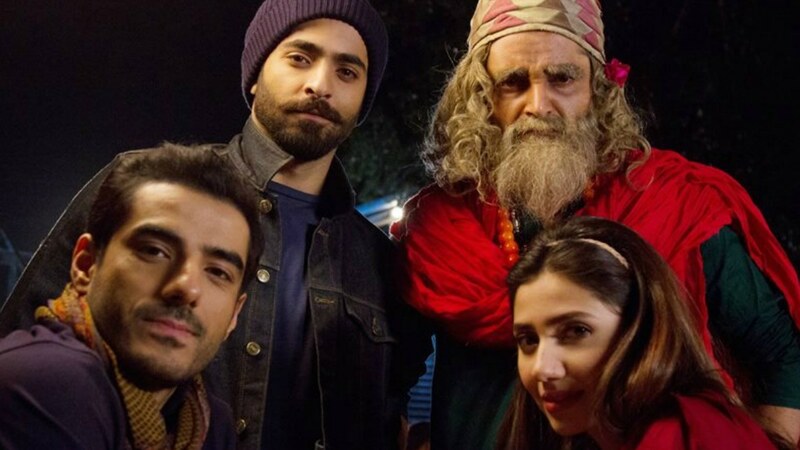 Read: Is Ho Mann Jahaan helping soundtracks in Pakistan reach a new high? As a producer, many other decisions fell on his shoulders, such as the one where he got to decide whether the movie would have an item number. "There's no item number in Ho Mann Jahaan because the plot simply doesn't call for one. If it was a period drama like Umrao Jaan or something and the script demanded it, I would have been on board but HMJ is an extremely grounded movie. Have you ever been to a place where you've seen an item number in real life?" ####Of Sonya Jehan's role in the film he says: "Sonya comes in the form of a guide and a mentor to little, lost Arhaan, who's just a sucker for pretty ladies. Whether that's platonic or romantic, people will just have to wait to see." When I shake my head to convey no as an answer, he continues, "No, right? Neither have I. The idea is to make things relatable for you and I, the average person. What we all have probably witnessed are some wicked mehndi dances so yeah, we have a mehndi number." We bet his friend, Hamza Ali Abbasi, who makes a blink and you'll miss it cameo in the film is happy about that! Oh hey there, Hamza Ali Abbasi! Does all that ambition have the talent to go with it? 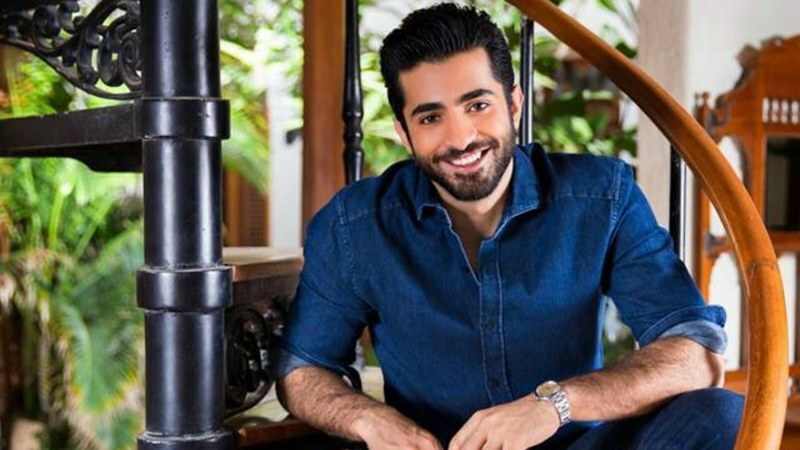 With people questioning whether he has the acting chops to play roles other than ones of men belonging to the elite bracket of the population, Sheheryar was ready to take on a challenge. "Initially, Adeel was going to be playing my character, who belongs to a financially modest family and I was going to be playing Nadir, who is from the upper echelons of society -- that's how Asim had build the characters, based off of our real personalities but we didn't want to play it safe. Each of us have been comfortable playing those roles so we decided to switch things up. Asim had to rework the entire script, the characters had to be tweaked to match our personalities." Preparing for the role of Arhaan was more work than anticipated, admits the actor. "I wasn't worried about the acting bit; however, I had to prepare for the role extensively for 3-4 months. I learnt how to play the guitar, ride a bike, work on my pronunciation and enunciation because Arhaan comes from a middle-class upbringing so I worked on the nitty gritty details, like saying in-ter-est instead of interest." The buzz surrounding his character is strong but it's not nearly as strong as the buzz surrounding the sparks that viewers spotted between him and the older Sonya Jehan in the trailer. I try to probe him for more information but he's a pro at keeping mum. "Give me Rs. 700 on 1 January and I'll tell you then," he laughs, knocking on wood yet again. "All I'm going to say is that Sonya comes in the form of a guide and a mentor to little, lost Arhaan, who's just a sucker for pretty ladies. Whether that's platonic or romantic, people will just have to wait to see that." 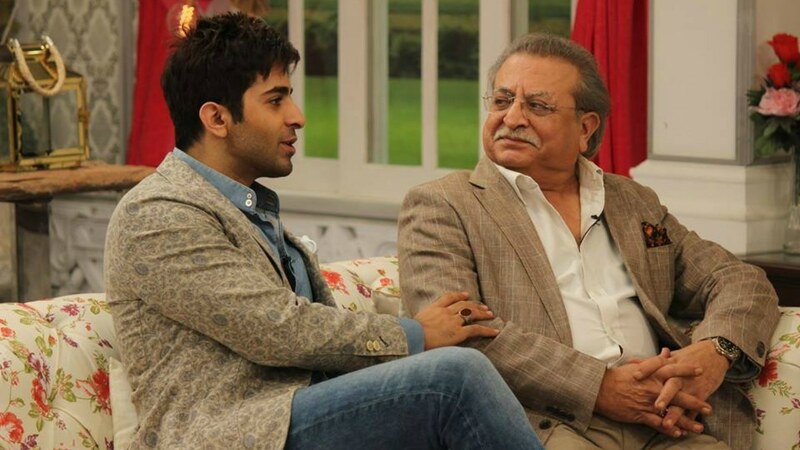 A little birdie told us that Sheheryar's real dad took on the role of his on-screen father in the movie. Recalling the experience, he admits it was a "bit of a nightmare": "My character is a hot-headed, impulsive bad boy and in reality, my dad and I have a very nice relationship, we're like friends. However, he's still an ex-military man so he has instilled that discipline in us so I would NEVER speak to him in the way Arhaan does so yeah, in that sense, it was a scary and interesting experience." Is the acting flair genetic? "There are scenes where I worried he's stolen my limelight! He's very artistically gifted!" says Sheheryar. As he spoke about the experience of shooting HMJ, his face lit up every now and then. I had to ask about whether he preferred television dramas, the medium that gave him his big break or movies. "Films, hands down, that's not even a question!" he scoffs. "The way that dramas are made here have become a joke, there's no quality control. There's no art to it anymore, it's become like a money-making venture functioning like an assembly line. Even the scripts are so stupid!" With regard to TV, Sheheryar says: "I feel we're dumbing down our audience and for that, the content generators are to be blamed. Do intelligent content and the viewers will enjoy it." He went on to speak about the media's responsibility to churn out thought-provoking content: "If I feed you McDonalds every day, you'll get used to it eventually but you can only imagine what you'll look like after 20 years. Will that be my fault or yours?" When I shared that I feel it's a two-way street, the Zindagi Gulzar Hai star elaborated, "See, your appetite will adjust but it's my fault for not exposing your palate to the finer things in life. On that tangent, I feel we're dumbing down our audience and for that, the content generators are to be blamed. Do intelligent content and the viewers will enjoy it. They consumed smarter plots thirty years ago; shouldn't it be the other way around?" He adds: "I have yet to see myself on the big screen, I can't say what that experience will be like but just the making of the movie has been more wonderfully excruciating and rewarding." No wonder actress Nimra Bucha, who plays Mahira's mother in the movie, hailed it the Rolls Royce of productions. Will we lose him to Bollywood? 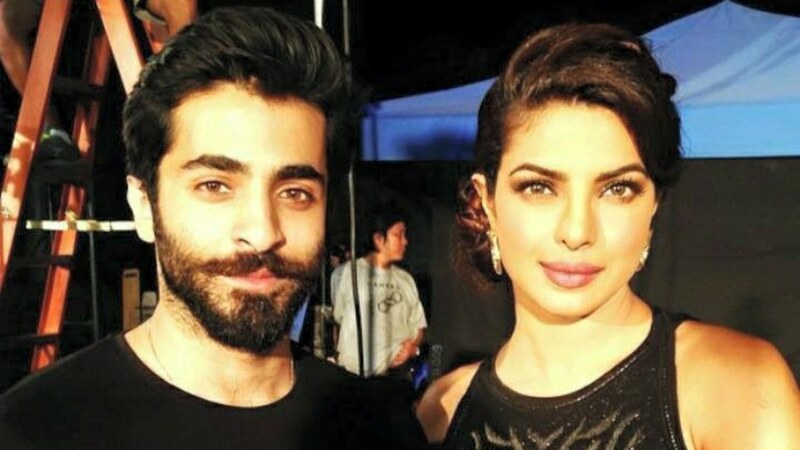 With his co-star, Mahira all set to make her debut across the border with Raees, opposite SRK, among other Pakistani artists who have chose to work in Bollywood, will Munawar also make the move soon? "I'm not dying for it. Obviously, it's a bigger platform; as an artist, you would want to go. It's not about Bollywood or working in India that's exciting to me, I'm not dying for it." 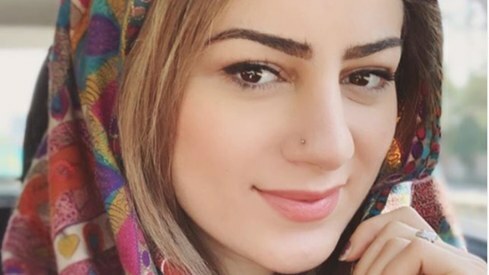 "I want to cement myself at home first, like the saying goes 'Agar aap apni gali ke sher ban jatay ho, toh baaqi log bhi aap se dartay hai' — I need to be taken seriously. If something interesting comes along, I'd love to consider it but my first concern would be if I am ready to take the plunge. I'm representing my home ground, I don't want to make any rash decisions. I'm not dreaming of Bollywood, only constant improvement, wherever that may take me." "I'm slightly ashamed to admit that we went to Thailand for colour correction, for our sound editing, we went to India and I don't want to go to Thailand, I don't want to go to India but unfortunately, we don't have that infrastructure here. The idea is to give that production quality to Pakistan so that we realize the need for it and acknowledge the lack of it. The goal was to make financial sense out of it, i guess that's where my IBA education comes into play." So what's next for the superstar? He states, "I've had a couple of scripts thrown my way but I'm not sussing them out based on big names or anything; it's all about content for me so if I see a new kid on the block with the foresight that will bring around success, I'll hop on board!" 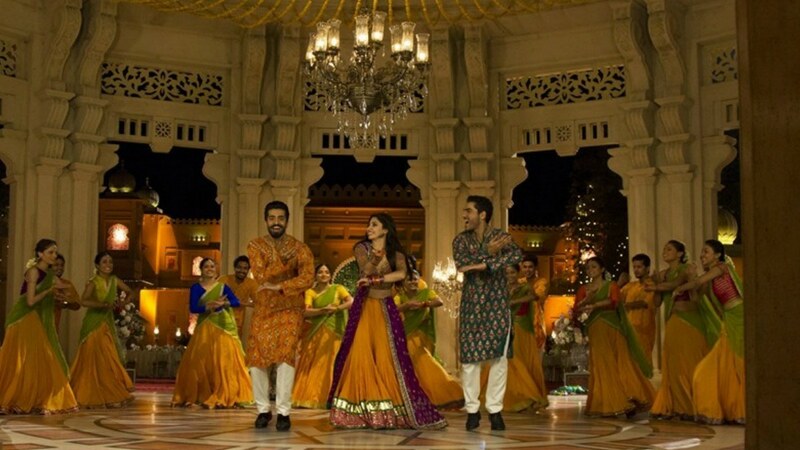 Humayun Saeed and Mahira fall flat in Bin Roye's music vids. What went wrong? 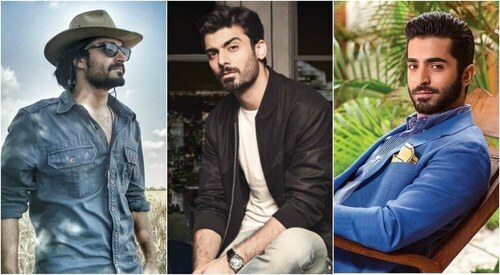 Facial hair, don't care: Which Pakistani celebs are slaying the beard game? Item number in a movie, shows the low level of the vulgarity and cheapness. Pakistan film industry must not copy Bollywood movies, by putting item number. Dying to see HMJ...estimate it to be a BIG hit. The music is superb! Such a down to earth person Shaheryar. He is a good actor .I like him. How very interesting! Well, we'll watch it, if only to see how he thinks the middle class says the word interest. I don't want us to become a society entrenched in the class system but In my opinion, it hasn't been easy to divide it into such, in our societies. The criterion is very varied and not everyone has an understanding of what it really means when you belong to or are put into the bracket of a certain class. Wonder when we will get out of this thinking. We love you Sherry, but for God sake please tell me if HMJ is releasing in New York by any chance or any where in North America for that matter coz we"ll definitely go and watch as we did bin roye and JPNA . An early advice to pakistanis. If any item numbers are included in future movies completely boycott them. I am a very liberal minded person and i do agree no form of art should be banned but considering our illiterate audiences, item numbers really incite the objectification of women and leads to more violence against them. Stop this nonsense before its too late. @Arisha G I also do not understand this class-system. Is it based on money, education or just class?